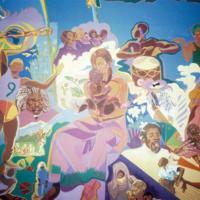 This is first major collection of murals focused on resistance, empowerment and slavery. It currently brings together murals from the United States from the 1920s to present day, with a large focus on murals depicting historical slavery and antislavery. In this collection, we see the abolitionists and heroic figures of black history emerge from community walls as ancestors for 20th-century social justice leaders.